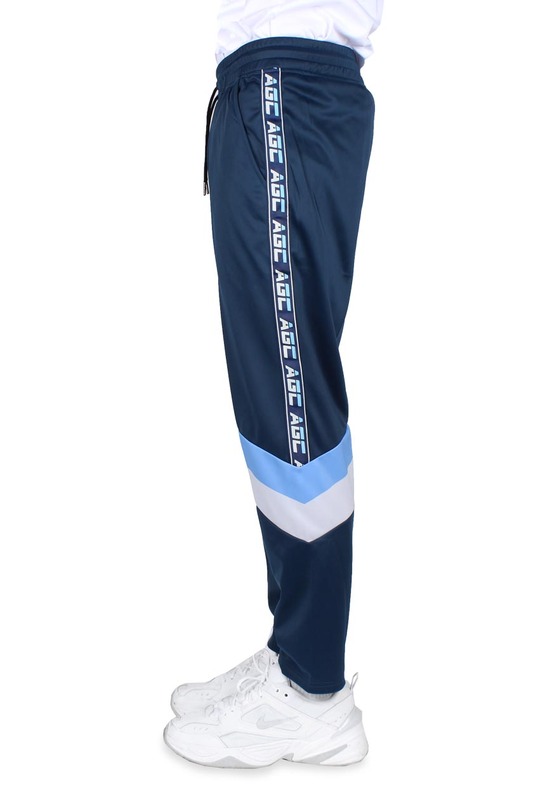 Agora Victory Tracksuit Joggers in navy, blue and silver. 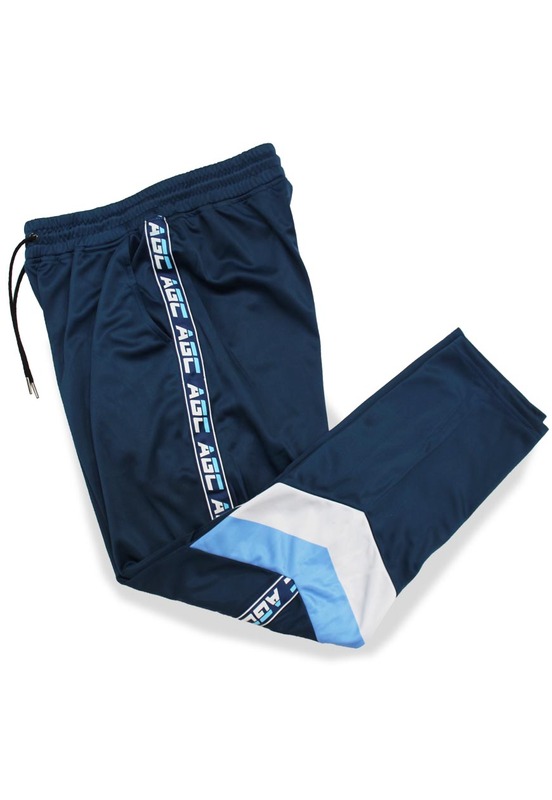 Fleece lined poly pants with multi-colour paneling and side tape. Slim, tailored fit that's not too skinny.